Driving a Jeep Wrangler is simply cool. Go top down and it’s like taking a trip in a compact convertible SUV. Want to hit the dusty (or muddy) trails? Awesome, the Wrangler likes to get dirty. Commuting to the city? Whip the Wrangler into the first spot you see – parallel parking is no problem with this little number. It’s a versatile ride no matter how you look at it. But what if there was more? What if you wanted to take your Wrangler even further than it can already go? Well, then you aren’t just looking at a Wrangler anymore. No, you’re scoping out an American Expedition Vehicle, specifically an AEV Jeep Wrangler. What is an American Expedition Vehicle? American Expedition Vehicle was founded in 1997 in Missoula, Montana by Dave Harriton, the owner of a 1991 Jeep YJ Wrangler. While attending the University of Montana, Dave won a university-wide business plan competition with his conceptual company that would produce long-wheelbased Wranglers. Winning plan in hand, Dave secured a loan and started American Expedition Vehicle with with goal of providing the very best Jeep Wrangler accessories for off-roading and overland expeditions. True to the company’s name, 90 percent of their manufacturing takes place in and around the Motor City – only the wheels are not American-made as “getting wheels made in the United States in aftermarket production volumes is very difficult” according to the company. Through AEV, customers can order specific parts to install themselves, such as snorkel kits, roof racks, winch mounts and cargo liners, or they can buy a turnkey model equipped with one of AEV’s three packages: the JK200, JK250 or JK350. Look, if you’re planning on using your Wrangler to pick the kids up from soccer practice and haul groceries around – you don’t need an AEV Jeep Wrangler. This is a car for those who want to hit the backroads, and hit them hard. The base AEV Jeep Wrangler, the JK200 comes equipped with 33” All-Terrain tires, AEV 17” Alloy Wheels, IPF 901 Off-Road Lights, AEV Non-Winch Coverplate, AEV Premium Front Bumper, AEV Rear Bumper, AEV 2.0” Spacer Lift, AEV Jack Base, AEV ProCal, AEV Badging, AEV Instrument Cluster, an AEV branded headrest and finally, an AEV Serialized Build Plaque. Oh yeah, you can also opt to have all of that sit atop a Hemi V8 engine – your choice of 5.7 liter or 6.4 liter. If you think the JK200 package is missing just that little something, AEV offers two other packages: the JK250 and the JK350. The JK250 will net you an AEV Front Skid Plate, AEV Tire Carrier, AEV Water Pump Kit and an AEV 2.5” Dualsport XT Suspension. Not quite enough for you? Upgrade to the JK350 and you’re maxing out your Wrangler with an AEV Heat Reduction Hood, a Warn Winch and AEV 3.5” Dualsport SC Suspension. Prices start at $8,461 for the JK200, $11,747 for the JK250 and $15,953 for the JK350. Oh, and don’t forget – you have to buy the Wrangler as well. Remember when I said “if you’re planning on using your Wrangler to pick the kids up from soccer practice and haul groceries around – the AEV Jeep is not for you?” Now you probably see why. The packages are certainly well-equipped and for the right buyer, an excellent addition to your Wrangler. But there is no arguing that they certainly aren’t cheap. And there is a lot of truth to that statement. It’s never been easier to buy low-cost auto parts, but be aware that you may very well get what you paid for if you go that route, especially as AEV is such a well-known, high-quality brand that’s now contending with a huge problem: counterfeits. Counterfeiting car parts is a huge issue, since, as AEV explains counterfeits “can impact vehicle performance and make them potentially dangerous to operate.” If you think you’re getting a great deal on an AEV part through an online seller – one that seems too good to be true – do yourself a favor and contact AEV so that they can verify the product for you. Or better yet, just go straight to the source and buy AEV products right off their site. It’s not worth the hassle (or the ultimate expense) to cheap out on a car accessory that could very well be downright dangerous. If the idea of having all the bells and whistles sounds amazing, but the thought of having to spend all of your free time actually installing the parts sounds like a nightmare, you’ll be relieved to know that you can actually just go ahead and purchase a turnkey AEV Jeep Wrangler simply by going to your AEV Certified Chrysler Dealerships and placing your order with the dealership, where it will be returned ready and waiting for you to drive it home. And if you already own a Jeep Wrangler? No problem! AEV will arrange for your car to be shipped right to the production facility in Michigan. The technicians there will customize your Wrangler to your specifications, and then return it to you upon completion. And if all of that still sounds like a little too much work? 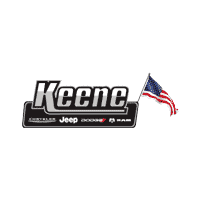 Then visit Keene Chrysler Dodge Jeep Ram in Keene, NH and let us take you through our selection of pre-owned AEV Jeeps, or let us show you some customization options that can be done to fit your budget. With over 250 Wrangler customizations under our belt, we are confident we can kit out the perfect AEV Wrangler for you.